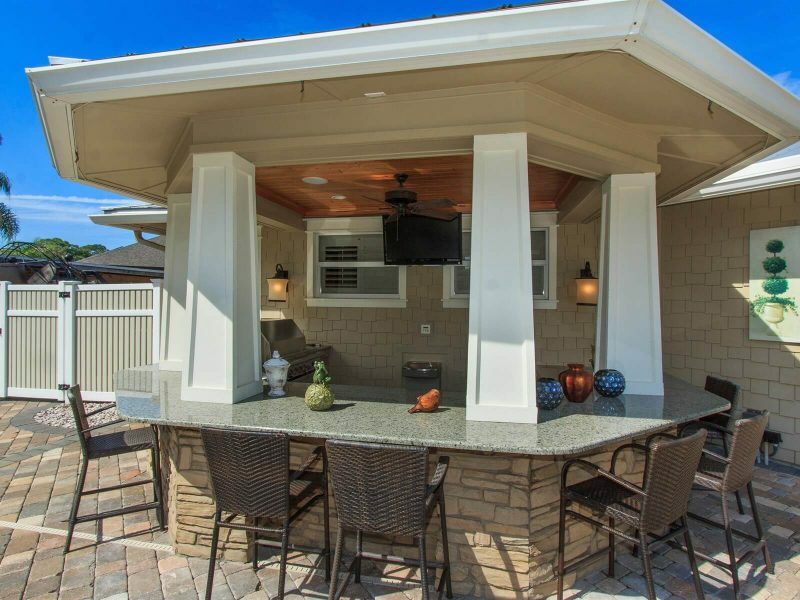 In the article “Tips for Designing the Best Outdoor Kitchen and Backyard Kitchen Designs,” this Burton outdoor kitchen was placed among a dozen other stunning outdoor kitchen spaces. This particular remodeled space provides a comfortable setting to enjoy both cooking and company. This space works both aesthetically with a full outdoor view and also functions as a practical space for entertaining with accessible appliances, outlets, and plenty of counter space. Read the full blog article at Impressive Interior Design. View more images of outdoor living spaces in the Gallery.